In the era of Donald Trump, it can be difficult to remember that American politics often consists of drawn-out policy debates between relatively unfamiliar career politicians. This Tuesday's vice-presidential debate between Sen. Tim Kaine and Gov. Mike Pence will be a throwback to those less sensational, less star-studded times. After years of high-stakes political theater and hyped-up showdowns that smashed ratings records, Tuesday's debate in Farmville, Virginia, will feature two men with about as much charisma and celebrity status as your kid's little league coach. "It may be a debate best suited for radio," David Axelrod, the former chief strategist to President Obama, told CNNMoney. "If you could bottle the indifference with which America will treat the Pence-Kaine debate," said veteran media analyst Jeff Greenfield, "it could put several time zones to sleep." With the exception of 2008, when Joe Biden vs. Sarah Palin drew a record-breaking 70 million viewers, the excitement surrounding vice presidential debates has always paled in comparison to those featuring the candidates at the top of the ticket. The Palin-Biden debate was an event, Greenfield noted, because Palin, who had shot to sudden stardom with no national political experience, "brought a whole other level of fascination (as in, 'will that sleepwalker on the tightrope make it?')" Kaine and Pence, by contrast, have lived in the shadows of Hillary Clinton and Trump. They are the standard bearers of their respective parties' platforms (with some notable exceptions, including Kaine's personal opposition to abortion), but relative non-stories in a high-stakes battle between celebrity candidates. 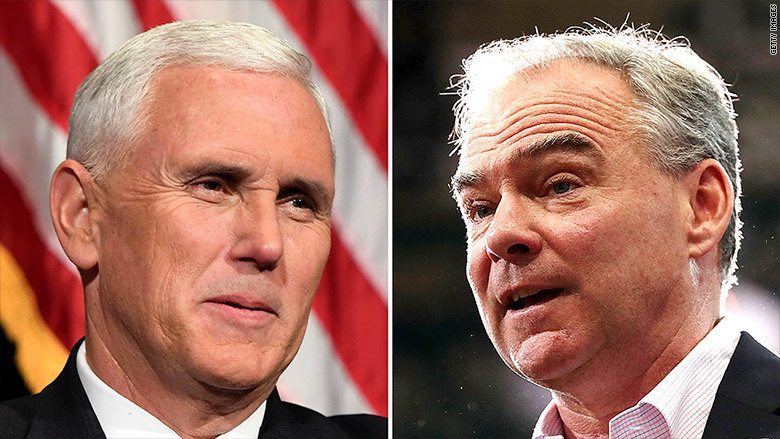 There might be more excitement to the debate if Kaine and Pence were filling the attack dog roles that are usually the responsibility of vice presidential candidates. But this year, that job hardly needs to be left to them. Indeed, Pence most often makes news by offering a gentler spin on the latest controversy from Trump. Indeed, any efforts Pence must make to defend Trump may be the most interesting elements of the debate. Short of some radical, unforeseen event, the vice presidential debate may feel more like a CSPAN broadcast of a congressional hearing than the Wrestlemania-like debates that characterized the 2016 primary season, or this week's highly anticipated showdown between Clinton and Trump, which drew a record 84 million viewers. Such is the fate of the vice presidential debate. Little anticipated, and little remembered. "Other than Lloyd Bentsen's takedown of [Dan] Quayle -- aided by Quayle's gulps -- there is not a single moment that anyone other than us obsessives can or should remember," said Greenfield, "and certainly nothing that pushed any race one millimeter one way or the other."